The year is coming to a close and, as always, there have been some interesting trends in education, from a renewed interest in “growth mindsets” to more emphasis being placed on things like social inclusion and engagement in learning, project-based learning, and digital literacy and citizenship. Every year, researchers also uncover new evidence about learning and the brain that helps us develop more effective learning and teaching practices. 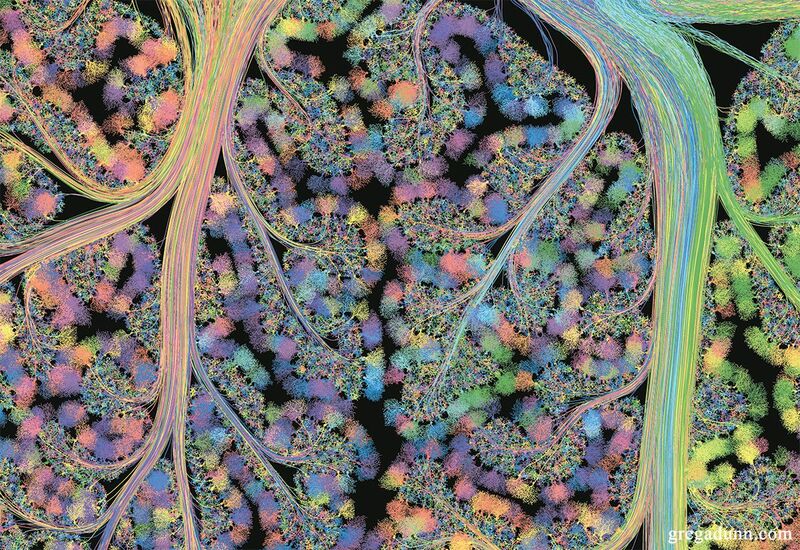 So we’ve compiled ten of the most important discoveries scientists have made about learning and the brain over the past year. Although it’s hardly surprising that we don’t do our best work when we’re under a lot of stress, new research published in the journal Neurology shows that stress can impair memory and may even speed up cognitive decline later on in life. The study involved more than 2000 healthy middle-aged volunteers who were asked to complete a series of memory tests. Those with higher levels of the hormone cortisol in their blood performed worse on the tests, and the researchers even found that they had a slightly shrunken brain volume when compared to the volunteers who had normal levels of cortisol. This research highlights the need for learners to invest sufficient time in stress management strategies such as mindfulness training, positive self-talk, and effective organisation techniques. For many years it was believed that the brain stops producing new cells after adolescence, but a new study published in the journal Cell Stem Cell shows that healthy older men and women produce just as many new brain cells as younger people. The researchers found that we produce new neurons in the parts of the brain associated with learning, memory, and emotion throughout adulthood. In addition to having exciting implications for the development of treatments for neurological conditions such as Alzheimer’s, these findings should serve as yet another reminder that we are never too old to learn something new. You probably feel frustrated with yourself when you’re unable to remember some key detail you’ve only just learned, but research shows that forgetting plays a positive role in learning. In fact, although it sounds counterintuitive, forgetting can actually increase long-term retention, information retrieval, and performance. Why? Because when we forget something and are forced to go back and retrieve the information, it will be more strongly imprinted on our memories. Other research shows that taking a short 10-15 minute break just after learning something new can also help you remember it better later on, as the short break gives your brain a chance to process and store the new information. Something most of us wouldn’t normally think about when we settle down to study is temperature of our study space. But a U.S. study carried out on behalf of the National Bureau of Economic Research analysed the test scores of 10 million students in the tenth and eleventh grades and found a relationship between the temperature within a school and the academic success of students. In fact, the researchers discovered that every one degree Fahrenheit increase in the classroom temperature correlated with a one percent decrease in learning. The reason for this is that it can be difficult to focus and learn when we are physically uncomfortable, so it’s important to have access to a comfortable study space where we will neither be too hot or too cold. Generally speaking, multitasking is a terrible idea, because it’s impossible to focus on two things at once. So when we ‘multitask,’ all we’re really doing is switching back and forth between tasks, and getting less done than we would if we were to focus on one thing at a time. But research published in the journal Psychological Science shows that if we tell ourselves that we’re multitasking, even though we aren’t, we can trick ourselves into performing better on certain tasks. Participants were assigned to either a multitasking or single-task group. The people in the multitasking group were told that they would need to work on two tasks, learning and writing, at the same time. The people in the single-task group were told they would work on one task that would test their learning and writing skills. Oddly enough, participants who thought they were multitasking outperformed those in the single task group every time. They were also more focused and engaged with the task. The researchers explain that this doesn’t contradict previous findings that show multitasking has detrimental effects, but that it shows that our perception of multitasking can positively affect our performance. So breaking down a larger task into its various components and viewing it as multitasking can help you complete the task more efficiently, even though you aren’t truly multitasking. For example, sitting in a meeting is viewed as one task, but you’re probably engaging in multiple tasks, such as taking notes while also listening and forming opinions. Although we’re bombarded with new information on a daily basis, not all of it sticks with us to the same degree. This year, researchers from Stanford University set out to study how the brain filters information it receives and decides which sounds, sights, and sensations are important. At its most basic, learning can be traced to specific regions of the brain that process feedback and lead to learning. But the researchers explain that this doesn’t provide a complete picture of how learning works, because humans and even animals need to figure out what to learn from and how to differentiate valuable feedback from noise. To study this, the researchers carried out a series of experiments with mice and were able to identify specific neurons that help the brain work out what it should pay attention to. The researchers note that these findings could provide exciting new opportunities for modulating learning. Although virtual reality’s uptake in education has been slow, new research shows that it could soon prove to be a valuable tool for teaching and training. For the study, University of Maryland researchers conducted an in-depth analysis to see whether a virtual, immersive environment could help people learn more effectively than a more traditional one. They found that participants were able to recall new information better when it was presented to them in a virtual environment as opposed to a two-dimensional computer or hand-held tablet. Of course, this is just the beginning, but the researchers point out that their findings will open the door to further studies into VR-based teaching and training for students at all levels of education. Although it’s nice to feel sure of something, new research from Yale University shows that we can learn a lot more from uncertainty. The researchers explain that when a situation is predictable and the outcome is obvious, our brain doesn’t need to do much. It’s when our circumstances are volatile that our brain is forced to work harder. This is why seeking out new experiences and opinions is a great way to stimulate brain activity and keep our learning going, because novelty encourages the brain to absorb more information. Sitting up straight is important for your physical health, but new research shows that it can also do wonders for your academic performance. The San Francisco University study found that students performed better on math tests when they were sitting up straight with their shoulders back than when they were slumped over at their desks. Students with math anxiety also reported finding it easier to perform when sitting up straight. The researchers explain that adopting a more confident and empowered body position can optimise your focus, especially when stress is involved. Have you ever wondered why you’re able to clearly recall an event that happened ten years ago, but can’t remember what you ate for lunch two days ago? A study by Columbia University researchers found that overnight, the brain sorts through our memories and prioritises high-reward events that will be useful for later decision making, while filtering out less important ones. For the study, participants were asked to work their way through a series of digital mazes in order to find a hidden gold coin. For each gold coin they discovered, they were paid one dollar. As the participants navigated their way through the maze, they were shown pictures of ordinary objects like an umbrella or coffee mug. Participants were later given an unexpected test to see how well they could remember these objects. When the test was given 24 hours after they’d completed the mazes, they were able to remember the objects closest to the reward. Surprisingly, when they were tested immediately, the researchers found no such patterns. So although the objects initially held no significance, they were later categorised as important because they were spotted closer to the reward. The researchers note that their findings offer new insights into the mechanisms of memory and decision making, and have important implications for education. Thank you very much for this information. I have been reading several of your educational learning strategies and they are fantastic. I am very grateful as they are very helpful and expands learning. Learning is a journey of the mind directed towards meaningful objectives. The 10 findings shared provide a deeper understanding of what makes learning effective. A very interesting and valuable research. This information adds to my knowledge on brain development and also being an educator.